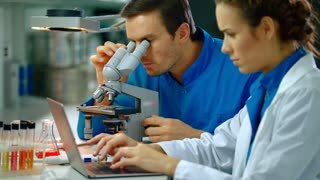 Search Results for "Male student doctor working with microscope and test tubes in laboratory conditions"
Laboratory male and female co-workers scientists working over some testing: man at the microscope and woman with test tubes. Close-up test tube in laboratory. 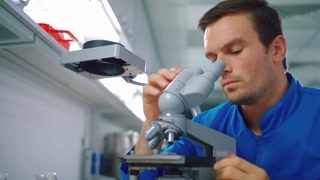 Scientist using microscope for work. Male Scientist working at laboratory. People with medical, science, doctor, healthcare concept. 4K Resolution. Scientist using microscope for work. 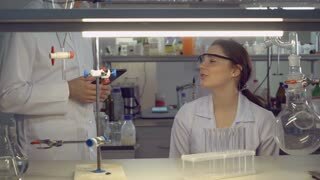 Male Scientist working at laboratory. People with medical, science, doctor, healthcare concept. 4K Resolution. 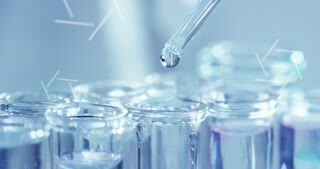 Two scientists are working in laboratory. Young female and male researcher are doing investigations with test tubes. Two scientists are working in laboratory. Young female researcher and her senior supervisor are doing investigations with test tubes.